Your pictures tell a story. Take your driver’s license, for example. 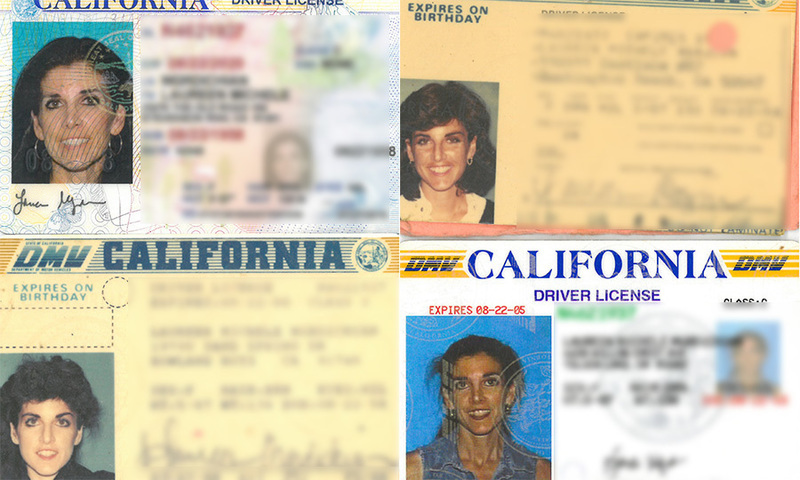 Although most of you have only had one photo taken so far, in time, you will have quite a collection of driver’s license photos (as I do) that tell a story of your life over the years. Guess which photo of mine was taken when I was at the DMV with three two-year olds on a windy day? Yep, there is a story about that day, and it represents a specific time in my life (as wild and crazy as it can be with three two-year olds)! There are lots of metaphors for what is ahead for you. You will go through different “seasons of life.” You will enter in and out of various “chapters” that will create your life story. You will travel down a myriad of “roads” that will have a profound impact on your life. Pick your metaphor of choice; life is organic, ever changing. But let’s go back to the driver’s license. This little plastic piece of identification represents us. You will find each photo taken over the upcoming years will reflect a particular part of your story. Yet, in reality, it is only representing the physical you. Wouldn’t it be interesting if your driver’s license showcased a picture of your heart? What would it look like the next time it is “photo day?” And what would it look like the time after that? And the time after that? My dear students, you have the privilege at Biola of being fed amazing spiritual truths on a daily basis. Your diet is rich. However, the heart work is your responsibility; it’s not the chapel team’s or the Bible professor’s. Is Bible homework your only “time with God?” Your walk with God doesn’t automatically come with your diploma from Biola. It begins with the daily habit, the daily discipline, of spending time with the Lord in His Word and in prayer. Begin these habits now. They will help sustain you in the years ahead and you’ll be amazed with God’s faithfulness. Aging is an odd thing. When I was your age, I thought older people were, well, old. If they looked old, dressed old, it was assumed that they thought old and was just part of the package. Now that I am aging I see the fallacy in this thinking. The outside package changing doesn’t necessarily alter who you are on the inside. What changes on the inside depends on the heart-work you do throughout the upcoming years. It’s how you respond on the inside; it’s who you seek; it’s where you lay your fears, your dreams and your disappointments; it’s what you believe to be truth – these are the things that change you on the inside. I am grateful that in all the seasons, chapters and roads ahead of each of us, one thing never changes: our God. He is always faithful, always good in all His work, and always surrounds us with His steadfast love. What a great way to frame whatever comes our way. The time you spend seeking God, day in and day out, strengthens your heart. It’s what will develop you, with the work of the Spirit, into a strong God-fearing woman and God-fearing man who is steadfast in their walk with the Lord -- whose heart is vibrant and healthy. So, what will your heart photo look like when you are in your 30s, 40s, 50s and beyond? Looking for more spiritual development resources? Biola's Spiritual Development is a great place to get started.